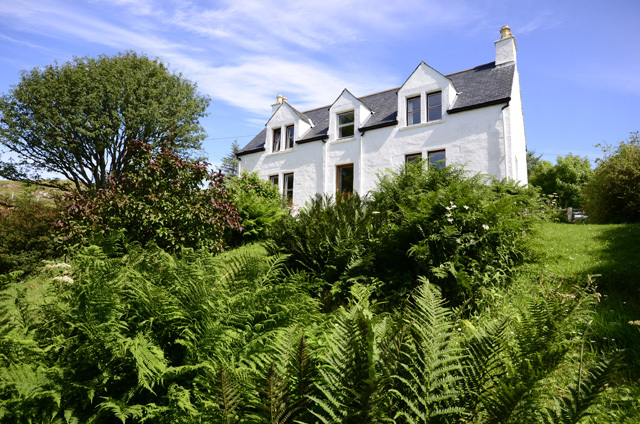 Torvaig Cottage is located in a quiet location not far from the small town of Portree. 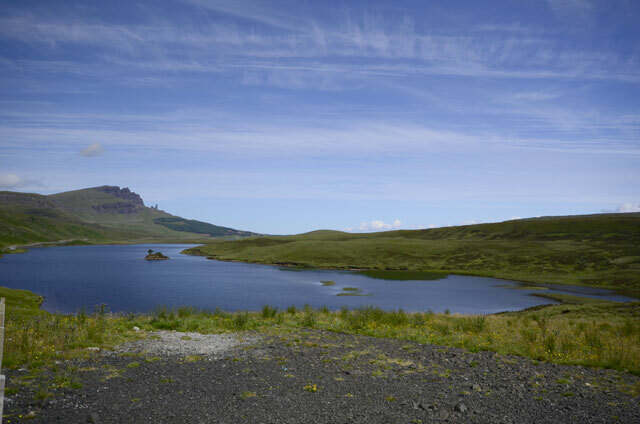 The property is a traditional style croft house, now updated and offering an ideal base for exploring the surrounding area and the Isle of Skye. 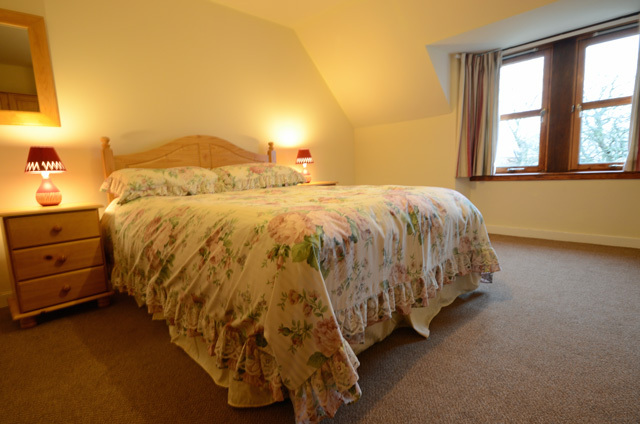 Inside the property is based over two levels, the ground floor has a sitting room complete with comfortable leather sofas and an open fire. The dining room at the other end of the property, is equipped with a table and seating for six, and also benefits from a wood burner. Traditional hand cut peat is supplied for the open fire and the wood burner, ideal for those milder nights. Off the dining room a small kitchen is located, which is equiped with all the usual kitchen appliances. A small utility room located to the rear of the property completes the downstairs facilities. On the upper level, you will find three bedrooms, all front facing with coombed ceilings and windows overlooking the garden below. 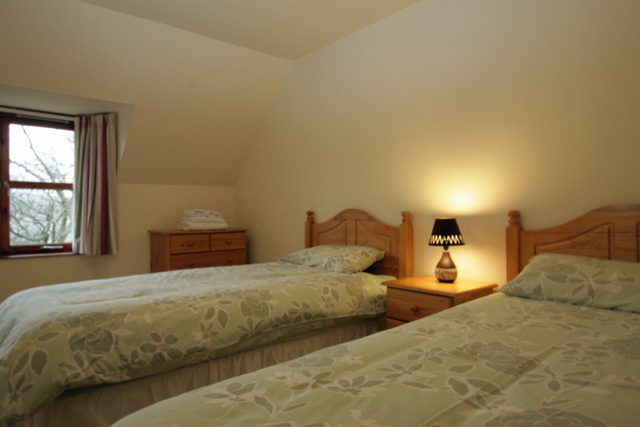 The bedrooms consist of; a master with a double, a twin bedded room, and a single. A family bathroom with a bath with shower over completes the upstairs facilities. 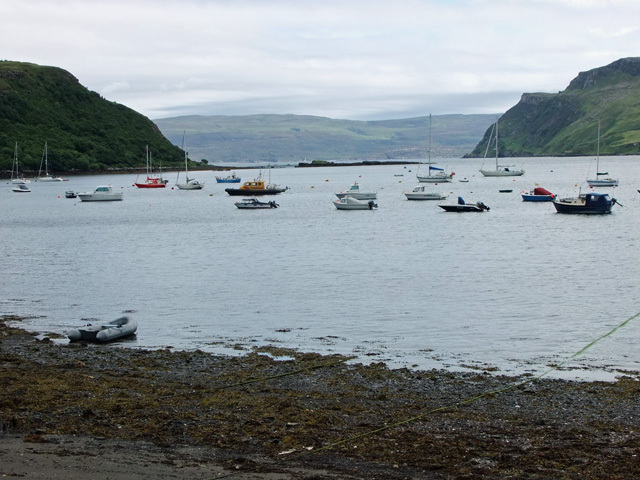 The property is ideally located just a short drive from the small town of Portree, the town centres around the harbour and has a good range of small shops, a supermarket, and the usual range of small cafes, hotel bars, and restaurants. Various boat trips operate from the harbour, ideal for those wanting to see the local wildlife. 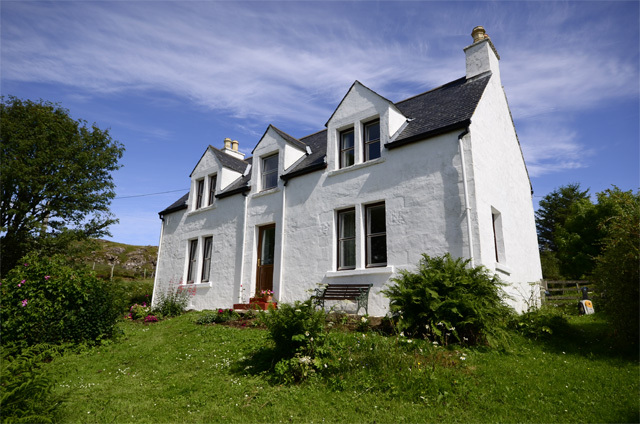 If Torvaig Cottage is booked for the week you require, then we have another cottage Ardrannach in the same location and this may be available. 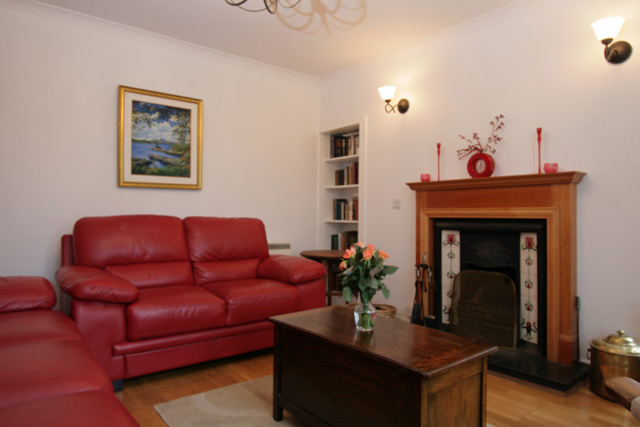 Sitting room with leather sofas, Flat Screen TV with Freesat, DVD, CD, open fire. 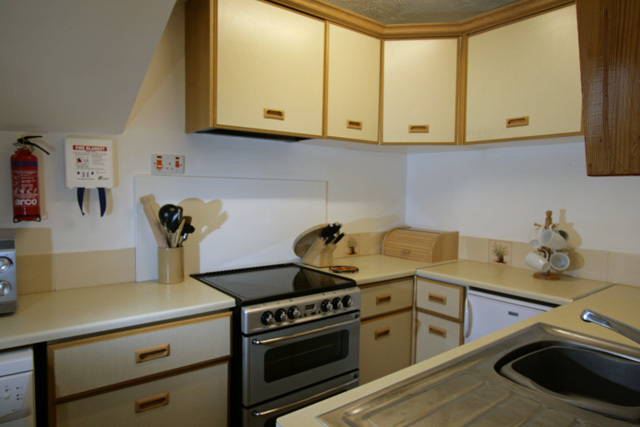 Fitted kitchen with electric hob, oven and grill, microwave, fridge, dishwasher, and all the usual kitchen equipment. Dining room with table and seating for six, wood burning stove. Utility room with washing machine and chest freezer. Master bedroom with coombed ceiling, double bed, garden view. 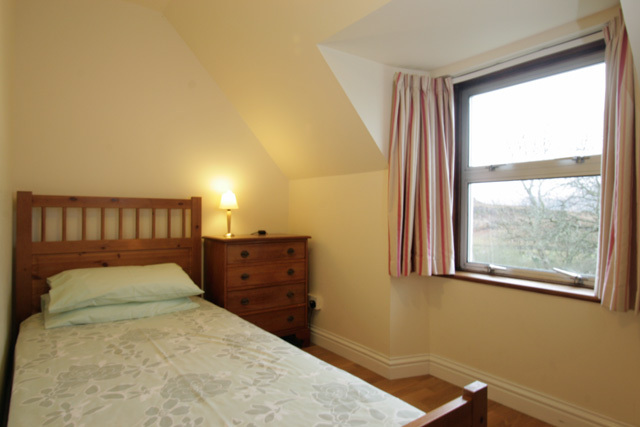 Twin bedroom, coombed ceiling, garden view. Single bedroom, coombed ceiling, garden view. Bathroom with bath with shower over, wc, whb. All bedrooms have coombed ceilings. Hand cut peat for the wood burner and the open fire. Two pets are accepted, however dogs must be kept on a lead and under strict control outwith the garden area. The garden is enclosed. Quiet location but benefitting from village amenties close by. An ideal base for exploring the surrounding area. We enjoyed our stay at Torvaig Cottage. Although it looks a little worn in places (scuffs and stains on the walls) it was nevertheless very comfortable. We enjoyed every evening in the dining room, lit the fire and settled down. Kitchen is small but to be fair there is everything you need in it. The chest freezer was of particular use to us. The shower is not the best - switch in on all the way heat wise and it alternates between freezing and scalding - almost gave up but found that using a mid point gave a consistent termperature. You don't have any view - large trees obstruct this. The garden was pretty overgrown and although a dog friendly cottage we were wary of letting ours into the garden because of seemingly resident chickens. Beds were comfortable. To be honest our first impressions were that it looked shabby but we definitley felt comfortable and at ease there and would stay again if we visited Skye. The owner passed by on our first day to check all was ok, a nice touch. 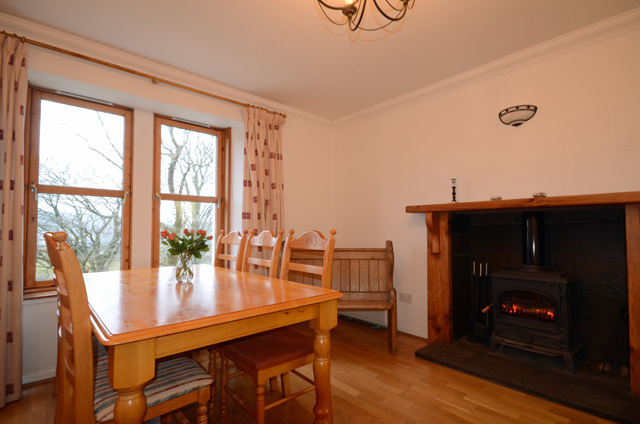 We booked this cottage the night before arrival and were delighted when we arrived. The thoughtful touches by the owners were gratefully received. We had a very relaxing week and the cottage was a great base to explore Skye. Lovely walks locally too with spectacular scenery. Would definitely recommend to friends and family! Lovely house in an excellent location. Warm and welcoming after a day's walking in the wet! 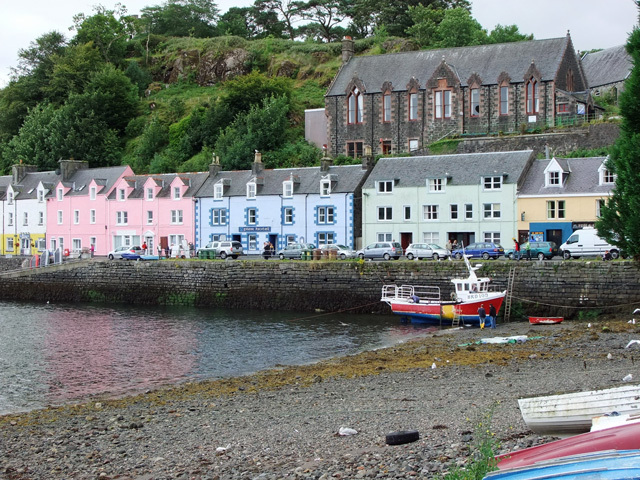 Handy for Portree (about 1km walk). Owner very friendly -- as are his dogs and chickens! All in all, a place we look forward to returning to.